What are the advantages of Swifts Home Extensions? The main attraction of using the garden room building system as an extension to your house is the speed and ease of installation. This example which is being used as a sitting room was fully completed in less than two weeks. In addition to the speed of the build, they building system Swift use means their is little mess or invasion into the main house. The resulting extension has a sleek look and meets all the requirements of modern housebuilding, such as the high levels of insulation meaning the room will be comfortable all year round, unlike a conservatory. 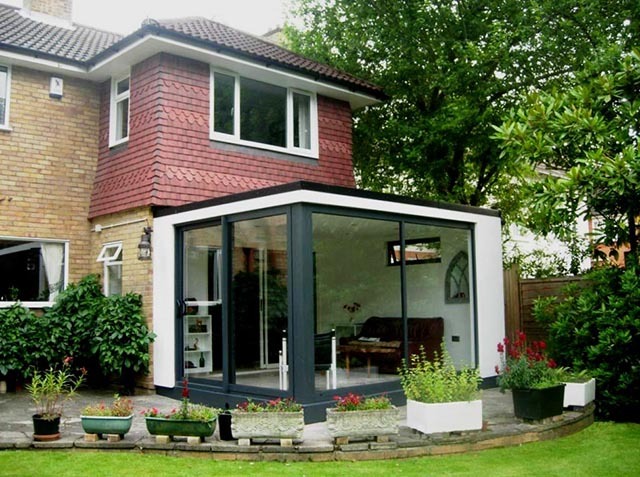 A garden room extension like this one by Swift Garden Rooms is a great solution if you need extra living space in your home. It will be difficult to find a building system that offers the combination of speed of installation, lack of intrusion into the main house, quality & performance of materials and cost effectiveness. On top of all of this a company like Swift will handle the project for you from start to finish as part of the price they quote you, so you can just sit back and watch your new extension come to life. A new room in your house in just 2 weeks, what are you waiting for? Talk to the Swift team on 01625 875 588 or visit their extensive website.